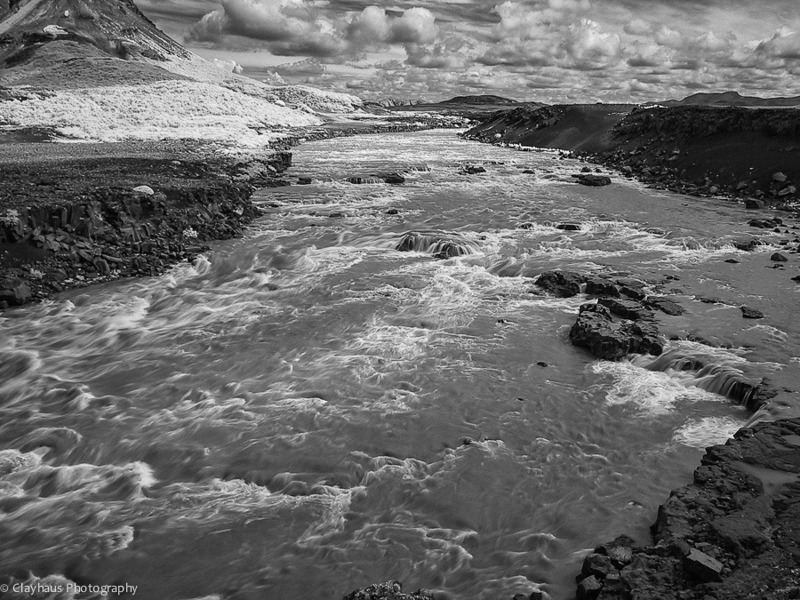 The mighty Þjórsá (loosely pronounced Thyor-sah) is Iceland's longest river at 230 km. 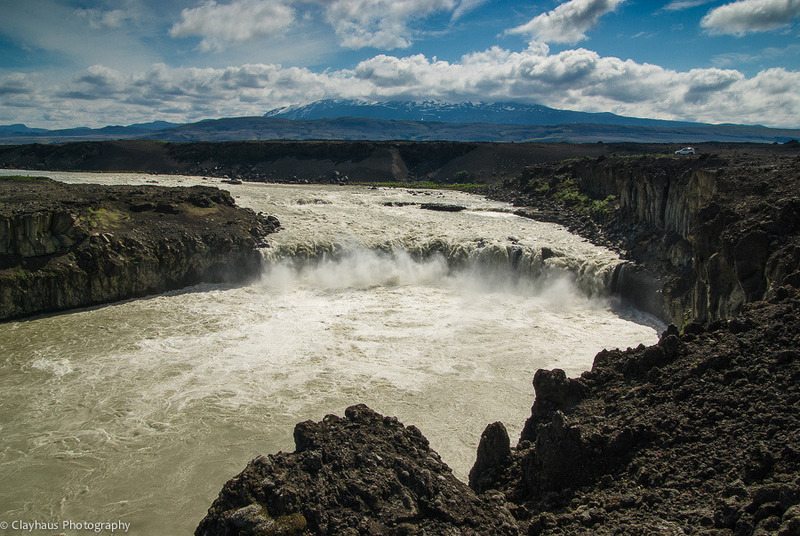 Flowing turbulently down from the central highlands icecap of Hofsjökull, the Þjórsá is a classic glacial river, cutting deep ravines through lava fields, ancient and modern, and stepping through waterfalls on its way to the island’s southern coast. When we were there several Julys ago, the river was turgid and yellowish-green with silt and mud. 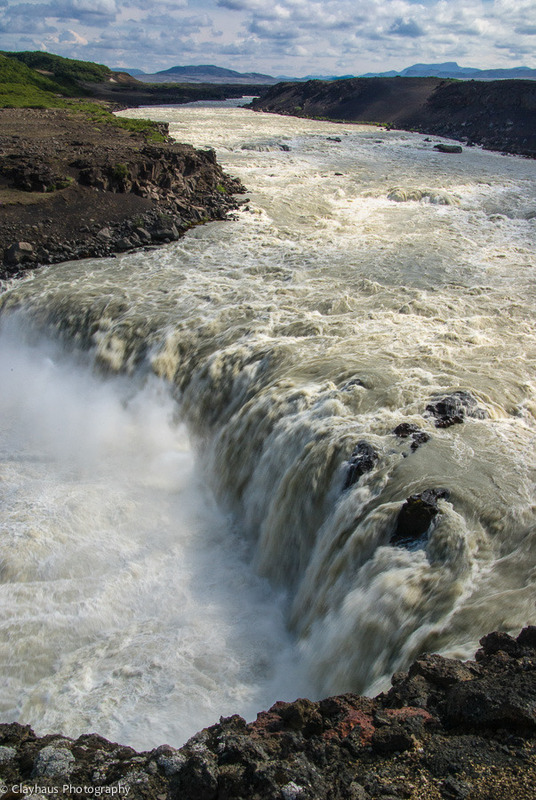 The intensity and force of the river was most apparent at Þjófafoss, the relatively short waterfall that sits picturesquely at a bend in the river, the 2200’ high volcano Búrfell beyond. 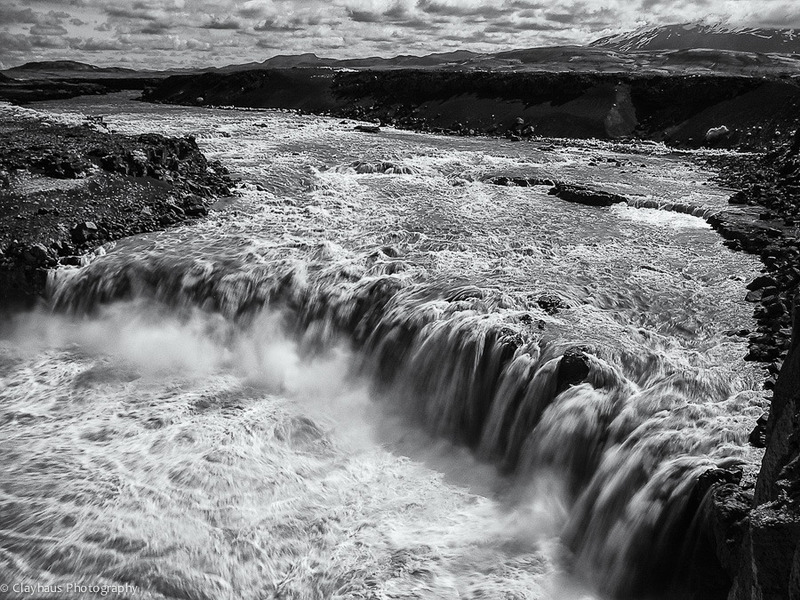 Þjófafoss means ‘Thieves Falls’ as supposedly medieval cutpurses were chucked off the ledge overlooking the swirling, foamy mass below. Not pleasant, but probably pretty quick. 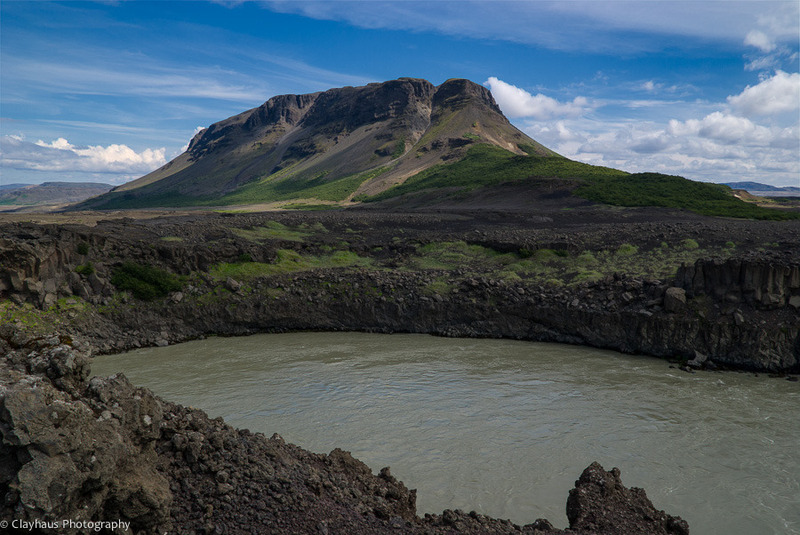 Búrfell, with bright green vegetation climbing up its steep lava-strewn slopes, makes a wonderful backdrop for exploring or photography. To the east the fearsome Hekla rises to almost 5000 feet. 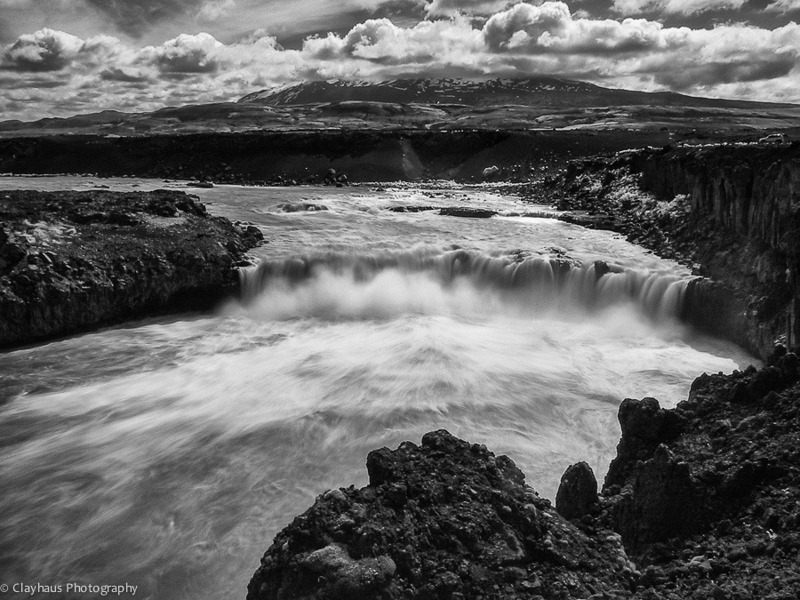 One of the most active volcanoes in Europe, Hekla was considered the literal gateway to Hell during the Middle Ages. Between 1970 and 2000 it erupted every 10 years...its overdue based on that schedule. 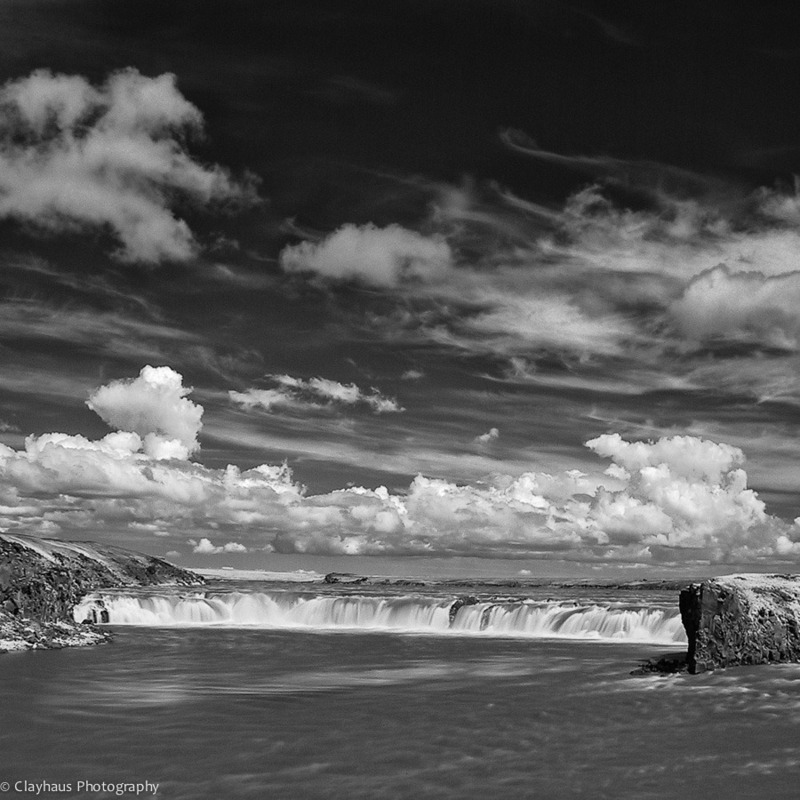 Further upstream 2 or 3 kilometers and spanning the river is the Tröllkonuhlaup (The Giantess Waterfall). 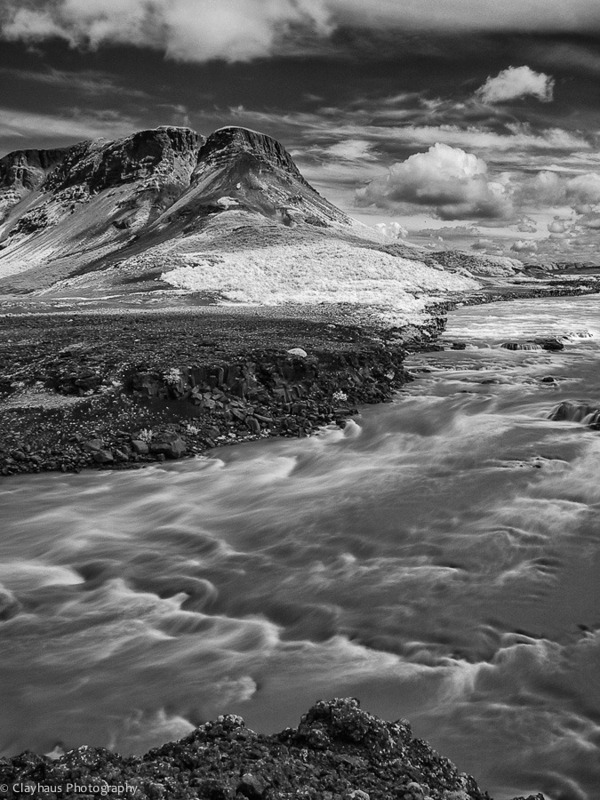 The legend states that a female troll (giant) lived in a cave in Búrfell and wanting to cross the river without getting wet, threw boulders into the Þjórsá as stepping-stones. Whatever the myth, the low falls make a great backdrop for having lunch. Upon planning a return trip to Iceland I was dismayed to read that the Icelandic government in concert with an energy consortium want to build three dams on this river. 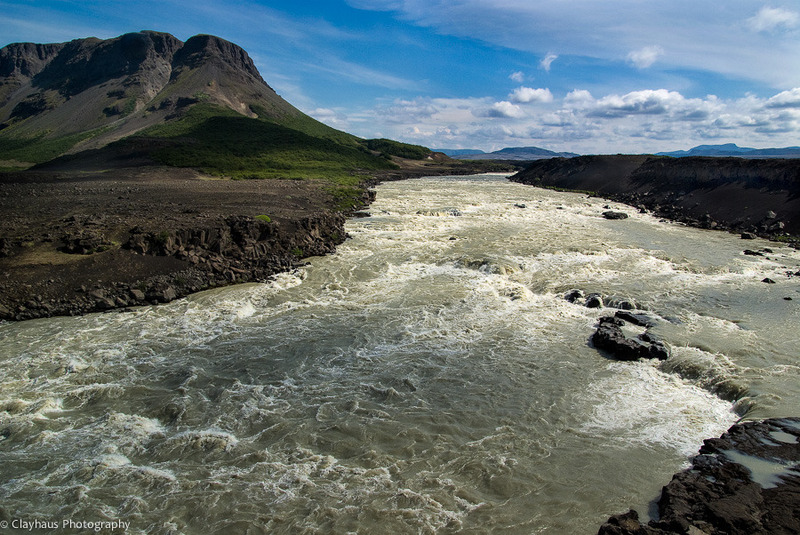 Now, I will be the first to admit that I am not an expert on Iceland’s energy needs, but viscerally I look at this river and wonder what ‘they’ can be thinking. Even more so when I read that no environmentalists were involved in the initial plan drafting, only government officials and energy companies. Sound familiar? Fortunately the planned three dams have been put on hold, though perhaps that is just a waiting game. 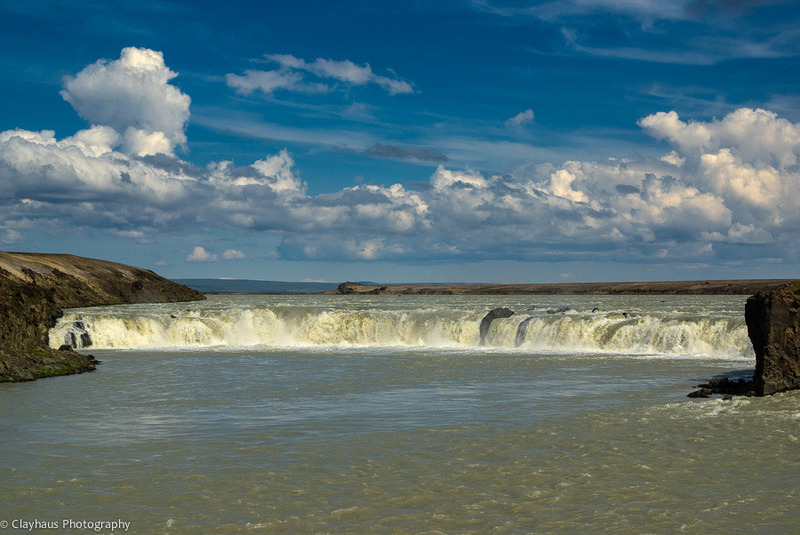 Though our climate is very different than Iceland’s, we too in the arid Southwest have had our dam battles. At one time Floyd Dominy, Bureau of Reclamation commissioner (1959-69), and others, wanted to build a series of dams on most western rivers. They were successful to a point but were finally stopped at the doorstep of the Grand Canyon. Many want to rollback the industrialization of the desert by removing Glen Canyon Dam. As simplistic and unfortunate as it may be, many facets of our current politico-socio clime can be defined by the term ‘culture wars.’ This is true too when discussing the role of humankind vis-à-vis nature. To take us out of the nature equation is unrealistic and frankly, unnatural. 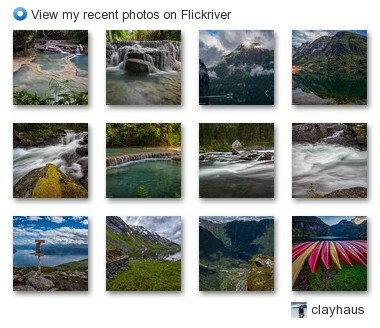 But even more so, the claim that we can ‘improve’ on nature is laughable. We may improve our position of dominance within nature, but that is not improving nature. These are really different and opposing viewpoints. I look at the Colorado River flowing through Greater Canyonlands, or the Þjórsá winding its way through Iceland’s volcanic lowlands, and I see wilderness and want to leave it be. The Floyd Dominy’s and Landsvirkjun’s (Iceland’s national energy company) of the world see lands and waters and resources to overcome, manage, and 'improve' upon. We’ve had a lot of the latter the last 200 years or so, with benefits and boondoggles and disasters aplenty. Growth for the sake of growth is the ethos of the cancer cell. Now is the time to manage our own nature and leave Nature be.